Our company offers a wide assortment of High Performance Nozzle Heaters to our clients. Owing to our eminent researchers and their dedicated approach towards innovations, we are able to deliver a range of premium quality and precisely designed heaters. These heaters are manufactured using premium quality raw materials using latest machines. Heaters offered by us are complimented for their robust design, efficient functionality and performance under every condition. Our range of products includes nozzle heater for injection & blow moulding, nozzle heaters, and industrial nozzle heater. 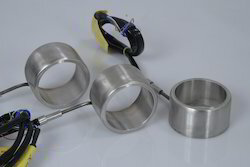 We are leading manufacturer and supplier of High Performance Nozzle Heaters. 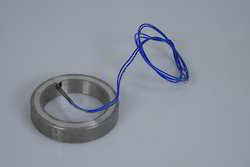 Our company offers an extensive range of Round Shape Nozzle Heater to our customers. These products are manufactured using high-quality material and are widely appreciated for its fast heat transfer service with the help of cross-section tube. 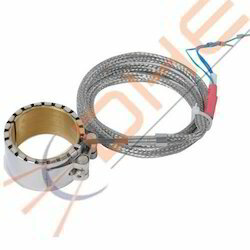 Our company offers an extensive range of Coil Nozzle Heater to our customers. These products are manufactured using the high-quality material. Our company offers an extensive range of Nozzle Heaters to our customers. These products are manufactured using high-quality material and are widely appreciated for its fast heat transfer service with the help of cross-section tube. 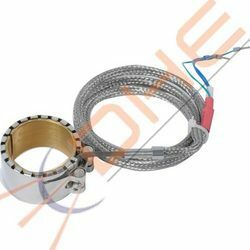 Our company offers an extensive range of Brass Sleeve Type Coil Heater to our customers. These products are manufactured using high-quality material and are widely appreciated for its fast heat transfer service with the help of cross-section tube. Our company proposes a wide range of Industrial Nozzle Heaters to our client. Manufactured using the high-grade material, these are widely used for hot runner moulds. Durability, sturdy construction, and heat transfer process are the known features of these industrial nozzle heaters. Available in different specifications, these products find their application in extended nozzles. Our company offers an extensive range of Small Nozzle Heater to our customers. 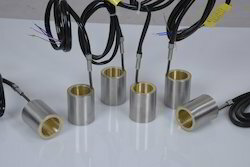 We offer a wide variety of Injection Nozzle Heaters to our valuable customers. 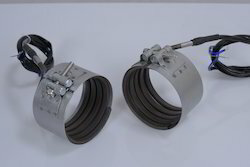 Nozzle heaters are constructed using a built-in thermocouple and widely appreciated for its high performance.